View all instances including table, views, triggers etc. 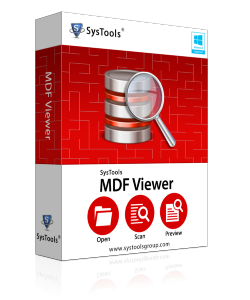 The MDF File Opener Software provides users benefits on reading all the components from a primary database(.mdf) file. 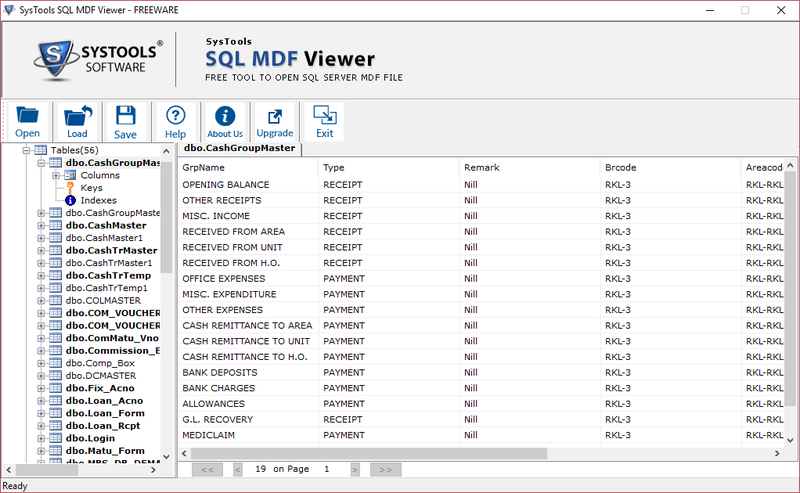 It can be triggers, stored procedures, keys, rules, classes, columns, tables and views from a MDF file. It works with a database from SQL Server 2016, 2014, 2012 and earlier versions. There is an option available for quick scanning complete database to fix any corruption. The MDF File Reader does not require SQL server environment to work. It can even automatically detect the current version installed on the PC. The tool can work on both Windows OS and server for 32 and 64-bit machines. The program is designed to display each instance with corresponding properties. There is no change in data or metadata in viewing a master database file. Using the MDF File Browser, one can even preview columns within a table. Even primary and foreign keys are displayed by the tool. 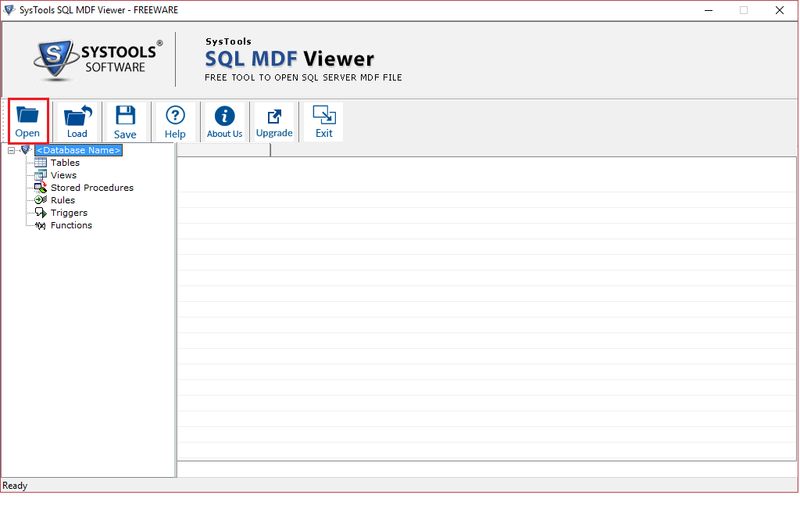 Software allows to view mdf file without sql server. A viewer can upload a master database of any size and save a snapshot of it within the mdf file reader. It is saved in .str format anywhere on the system. There is also an added facility in the MDF File Viewer to fix corrupt NDF file. It can be used for forensic data analysis of a database. It has all the necessary function that can be accessed through a single panel. 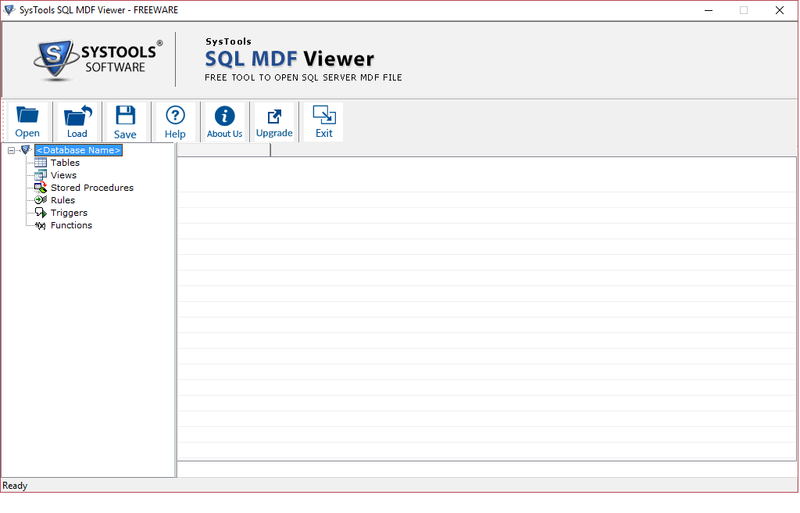 Microsoft SQL Server MDF Viewer has an easy-to-use interface that can be used even by a non-technical person. The MDF File Browser can work with orphan, inaccessible master database files. It has also got advanced scan mode for high-level corruption. One can preview each instance with data type and properties and all the details about the .mdf file. These include the database name, version, the number of pages read, the number of tables read and scanned in real time. The MDF File Opener also displays the number of views, triggers, stored procedure, rules, triggers and functions found. Step 1: First, download and install the software. Then, launch the MDF File Opener. Step 2: Next, a scanning takes place where each item being loaded is shown. Step 3: Then, view each instance with corresponding attributes. Step 4: Click on a table or an item to open the complete data stored within. 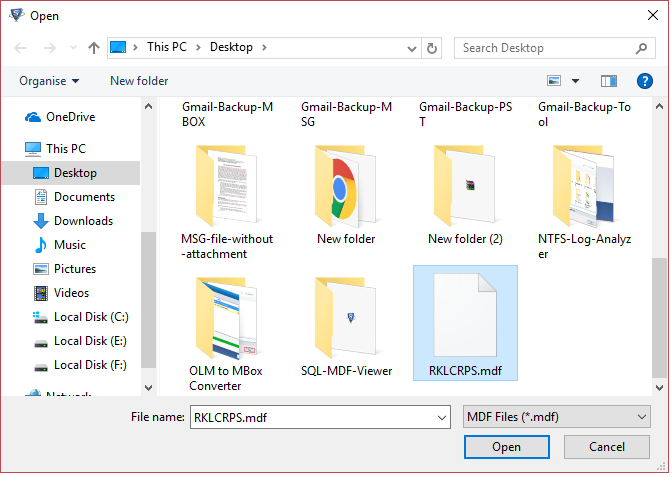 Where are SQL Server MDF file(s) stores on a Windows PC? These can be searched within C:\Program Files folder for .mdf files. It will have a path that looks something like C:\Program Files\Microsoft SQL Server\MSSQL10_50.SQLEXPRESS\MSSQL\DATA for SQL Server 2005 and 2008. What is a master database file? It is the primary database file created by SQL Server for storing important client and customer data. It contains information in the form of tables that can be accessed, read and created by the SQL Server. What is an NDF file? It is the secondary database file created by the SQL Server. It can be repaired and previewed using the MDF File Reader. What are the features available for a forensic expert in this software? A user can view email data in different formats like Hex, RTF, HTML etc. for analysis. Can the application work on Windows Server 2012 machine? Yes, the MDF File Browser is compatible with Win Server 2008 and 2012(32 and 64-bit) machines. Can this utility help with a database in SUSPECT mode? This application works to repair any issue/damage/corruption within a .mdf file. It can even remove the SUSPECT error as well.